As most of you know, Leonard Nimoy died yesterday at the very young age of 83. He brought to life one of the most iconic characters ever, Mr. Spock of the USS Enterprise, friend of James T. Kirk and so many more things. He also played the character of William Bell on Fringe. Spock is a character I’ve always held dear to my heart and he is one of my favourite characters of all time. Also, the character of Spock has given me so much happiness. He used to be the only character I could relate to completely. 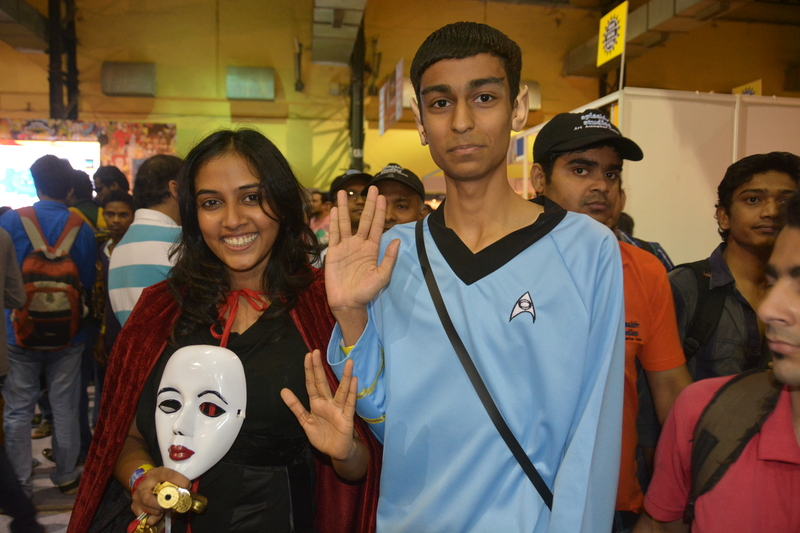 It was a natural decision for me to cosplay Mr. Spock for the Bangalore Comic Con two years ago. I had an amazing time there and an amazing experience. As I was leaving that morning, the manager of the hotel saw me and my parents leave the place with me in costume. He told us about being very very eager to watch The Original Series when it used to air on Indian TV. When we came back from the Comic Con and went to the room, I found that my bed had a tiny USS Enterprise made from towels and a picture of Leonard Nimoy as Spock with a little known fact under the image. It was an amazing thing that person had done and we told him that at the end of the day. At the end of the very same year, the Second Annual Mumbai Film and Comic Convention took place and I cosplayed as Spock again. That was the day I met an amazing group of people (you know who you are!) and they are the best kind of people – Whovians. Again, it was an amazing experience brought about through Spock. After that even, a friend of mine messaged me saying that her mother thought I looked like a young Leonard Nimoy.. It was perhaps one of the best compliments ever given, because as I mentioned, he was one of my idols and he will always be. What I want to say is that Leonard Nimoy has ascended to a higher plane of existence like The Ancients. His legacy will always remain. He will always be Mr. Spock, William Bell and Sentinel Prime to me. We live in an age where our favourite characters are senior citizens and their lives can end any day due to illnesses. I dread the day Meryl Streep, Ian McKellan or Julie Andrews ascend..
Live Long and Prosper, everyone..